Everywhere is a destination for someone. No matter which part of the world you call home, there’s somewhere else you’d love to go – to visit, to vacation, but especially to photograph. A photographer in your very bones, you long desperately to make your own photographs of exotic places, from the fjords of New Zealand to the Kenyan savannah; from the Eiffel Tower to the Sydney Opera House; from the misty sidewalks of Portland to the humid porches of Atlanta. Daydreaming may drive enthusiasm, but it does absolutely nothing for your wallet. 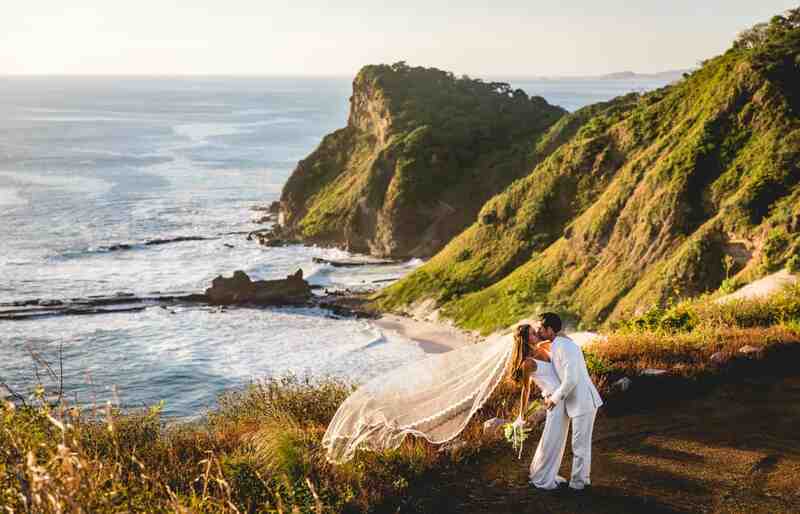 So how do you find that elusive destination wedding client? Or, more importantly, how do they find you? 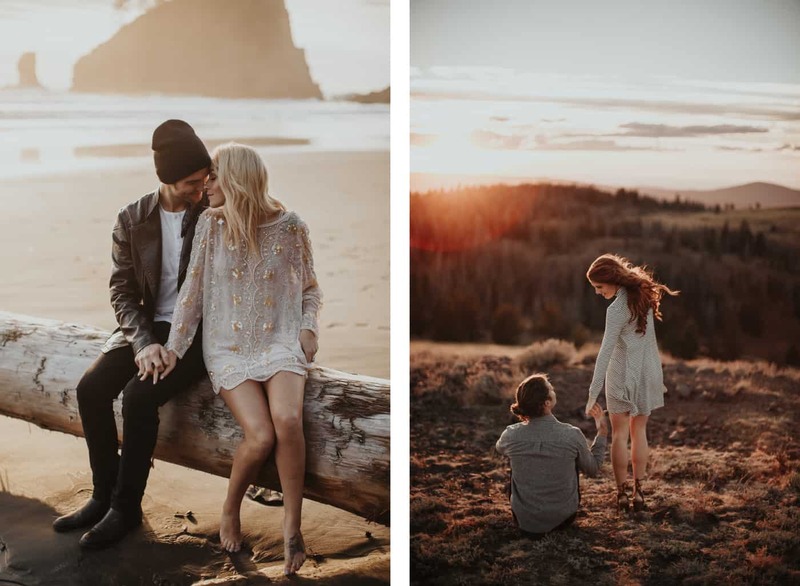 With major brands discovering photographers for huge ad campaigns through social media, it’s no wonder couples are also looking to Instagram for their photographers. You’ll have to get creative to grab their attention – but we think you’re up to the challenge! That’s right: hashtags aren’t proprietary. This means your hashtag doesn’t have to be directly related to the photo you’ve hashtagged. ANY hashtag can be used on ANY photo. Want to shoot in Bali but you’ve only photographed weddings in Florida? Hashtag a Florida beach wedding photo with #baliweddingphotographer. 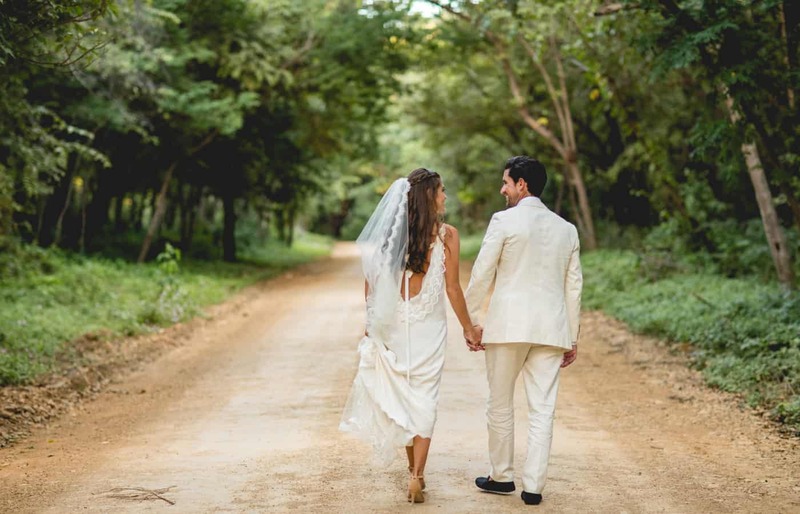 This example is ideal, because your Florida photograph demonstrates the skill you’re offering, and the hashtag #baliweddingphotographer will attract couples with something to offer you in return – the opportunity to photograph a wedding in Bali! Pro Tip: If you’ve never photographed a beach wedding, you can find your first seaside celebration by using beachy hashtags on ANY of your photographs you think might resonate with the couples you’re seeking. Be selective, and highlight images that make sense for your intended audience! You’ll achieve the best results when you discover which hashtags best connect you to your ideal client. While hashtagging your photo #omgsomeonebringmewine may be hilarious, it overlooks the true value of hashtags – marketing. Hashtags connect your photograph with people looking for images just like yours – and image-makers just like you. Does this hashtag accurately represent this photograph/style? Does this hashtag accurately represent me/my style? Is this a hashtag I would search if I were looking for a photographer? A search for #wedding results in over 73 MILLION Instagram photographs, many of which are selfies, memes, and businesses’ product shots. Even more chaotic: these photographs originate from every corner of the planet, meaning it is highly unlikely that your potential client will ever find your photograph in that mass of imagery. However, a search for #atlantaweddingphotographer results in a smaller selection of 38,000 photographs. Most are high-quality, professionally-made photographs, relevant to couples looking to book a wedding photographer. With a targeted hashtag, your photograph is much more likely to be found – and found by the right people. No one knows exactly why, but the most effective place to use hashtags is NOT in your Instagram caption. Instead, after publishing your photo, immediately add a comment, and type your hashtags into that comment box. This ensures that your photo will immediately appear in search results for those hashtags. Search for yourself and see! Social media experts have varied opinions about the ideal number of hashtags to use, but they all agree on one thing: photos with at least 1 hashtag perform better than photos with no hashtags at all. Pro Tip: Instagram allows you to add up to 30 hashtags to your own photo. Commenters on your photo may add an additional 30, totaling 60 hashtags on a single Instagram photo. How many hashtags is ideal? We suggest that you experiment. Over the course of a few weeks (be patient! ), evaluate your best-performing posts, and make note of the average number of hashtags you included for those posts. Maybe for you, the magic number is 5. Maybe it’s 17. Also note the type of hashtags you’ve used. The popularity of a photograph has many factors, and hashtag quantity is only one of them. Tools like Iconosquare and Agorapulse can help you dive deeper into your stats, so you now what’s working and what isn’t! You already know you can add a location (or “geotag”) to your photograph. In most cases it makes sense to tag the exact location where the photo was made – the Grand Hyatt New York, for example. This notifies the hotel that you’ve posted a photograph taken in their ballroom, for example, and connects you to couples looking for photographers who’ve worked in that venue. Tag a city where you’d like to shoot – especially if your photo evokes a similar vibe to your goal destination. Tag a business who contributed to your shoot – like the hair salon or dress boutique. Tag your own business location – this will show up to local clients who search Instagram for photos “Near Current Location” when they’re in your area. Pro Tip: If you find yourself unable to tag locations that aren’t nearby, make sure location tracking is turned ON for your phone’s camera (iOS users.) You can do this in Settings > Privacy > Location Services > Camera. Note: You should NEVER lie about where you’ve worked, so be prepared to clarify to inquirers that you haven’t actually photographed in a location you’ve tagged. It’s okay to acknowledge that you chose a location tag simply to connect you with new clients! Once you’ve secured one job in a killer destination, challenge yourself to book another in that same city! Why limit your opportunities? Brandon maximizes his brand by highlighting his specialties on separate Instagram accounts. Pro Tip: Think of your Instagram account as a portfolio geared toward a specific client. Show those clients what they want to see! Having more than one Instagram account is a great way to hone in on your dream clientele. Brandon finds these potential clients by searching hashtags and geotags, and most of his communication is accomplished via Instagram direct message. “Sometime that first shoot is just a portfolio-builder,” Brandon shares, “but if I go back to the same place later, I’ve developed a rapport.” His willingness to “cold-call” potential clients has led to big opportunities, breathtaking photographs, and rewarding paychecks. 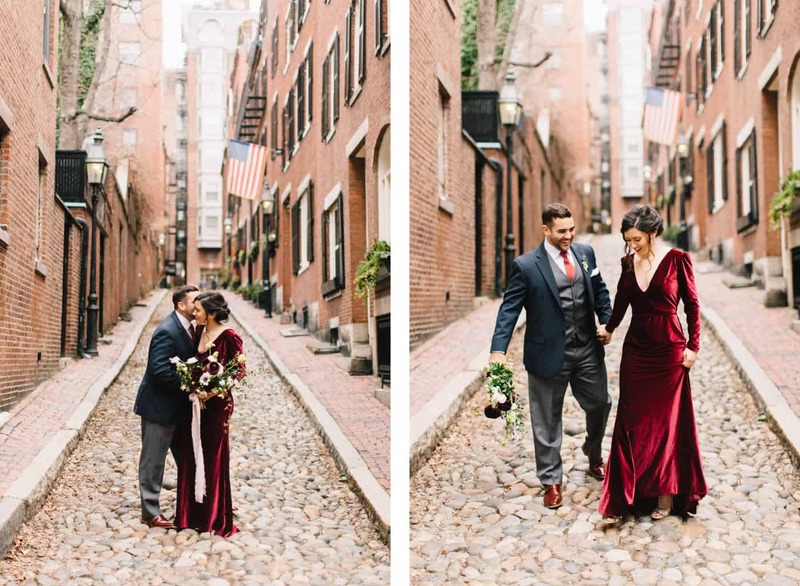 Coffee enthusiast and elopement photographer Dawn Piebenga uses this short-form, interactive tool to let people know she’s planning a new adventure. 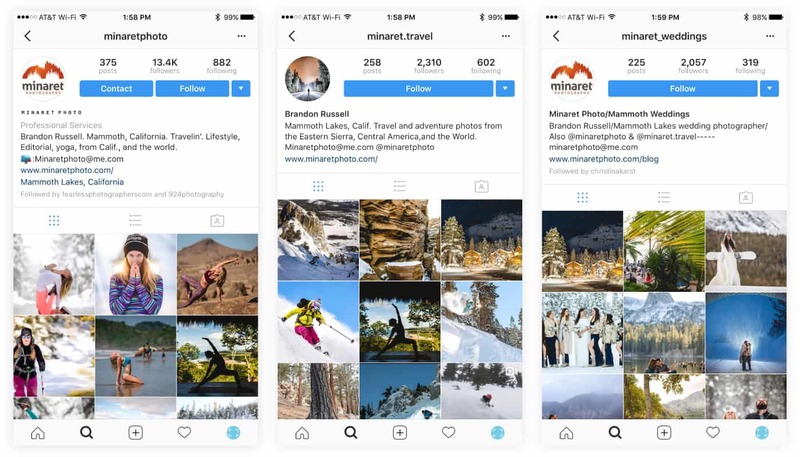 If you’re not yet familiar with Instagram Stories, you can spy on others’ Story creations by tapping on their Instagram profile picture. If they have a Story to view, their profile photo will have a rainbow ring around it, which, when tapped, will open into a short slideshow. You can see ALL of your feed’s Stories in a row at the top of your Instagram feed. Sue B. Zimmerman, The Instagram Expert, has an excellent tutorial on crafting your own Instagram Stories. Through hashtags and geotags, brand strategies and marketing strategies, the one thing none of us can afford to lose sight of is this: social media is social. It’s about real people, real lives, and real connections. And there isn’t a content calendar in the world that can compensate for a lack of soul in your social media. And that’s how a great destination wedding photography business is built. Intention, action, and a whole lot of heart. Sign up with ShootProof, and we’ll have your back – wherever your adventures take you!